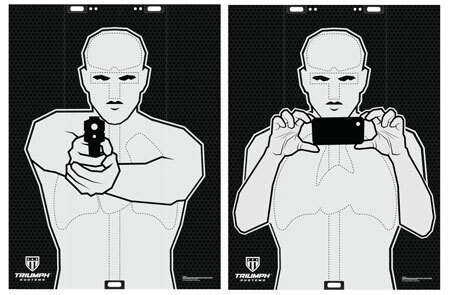 Triumph 020000001MC No-Threat Double Sided Silhouette 22x30 in. 6 Pack in. Triumph 030811001 Ethical Harvest Whitetail 30 x 22 in. in. Triumph 030812001 Ethical Harvest Prairie Dog 11 x 8.5 in. 3 PK in.